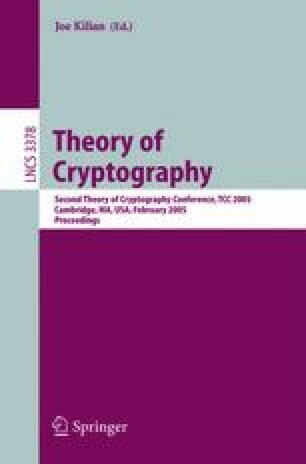 For ISO standards on public-key encryption, Shoup introduced the framework of KEM (Key Encapsulation Mechanism), and DEM (Data Encapsulation Mechanism), for formalizing and realizing one-directional hybrid encryption; KEM is a formalization of asymmetric encryption specified for key distribution, and DEM is a formalization of symmetric encryption. This paper investigates a more general hybrid protocol, secure channel, using KEM and DEM, such that KEM is used for distribution of a session key and DEM, along with the session key, is used for multiple bi-directional encrypted transactions in a session. This paper shows that KEM semantically secure against adaptively chosen ciphertext attacks (IND-CCA2) and DEM semantically secure against adaptively chosen plaintext/ciphertext attacks (IND-P2-C2) along with secure signatures and ideal certification authority are sufficient to realize a universally composable (UC) secure channel. To obtain the main result, this paper also shows several equivalence results: UC KEM, IND-CCA2 KEM and NM-CCA2 (non-malleable against CCA2) KEM are equivalent, and UC DEM, IND-P2-C2 DEM and NM-P2-C2 DEM are equivalent.